Park Point – A summer playground with beach volleyball, swimming and picnic lunches on Lake Superior. There is also a 4 mile trail with harbor views, a historic lighthouse, and great bird watching opportunities. 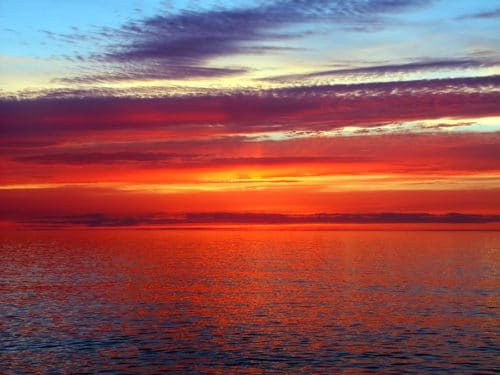 The Lakewalk – This 4.2 mile paved pathway hugs the shores of Lake Superior and connects to many of the city’s entertainment sites such as: the Duluth Entertainment Convention Center, the Great Lakes Aquarium and the Bayfront Festival Park. Chester Park – This 2.5 mile loop can be challenging but worth the interesting geographical features and abundant wildlife. Lincoln Park – The 35 acre park has waterfalls, gorges and an exposed bedrock knick-named “Elephant Rock”. Piedmont Trail – When you emerge from the lovely aspen and birch forest, this trail has breathtaking views of the St. Louis River and City of Duluth. Congdon Park – The 33.7 acre park has a rugged, unspoiled beauty that includes streams, woods, a waterfall and canyon. Hartley Park – The trails in this 660 acre park are open for hiking and biking. Many paths lead to great views of Lake Superior and the St. Louis River Valley. Positive Energy Outdoor – Try a new adventure on guided tours that provide all the gear and instruction needed. Enjoy a memorable kayaking, rock climbing or canoeing excursion. The Duluth Experience – Their kayaking and biking tours combine exercise with exploration. For a more leisurely outing, join a history or brewery bus tour. Annual Homegrown Music Festival – (April 29 – May 6) Come out and enjoy 200 musical acts, along with filmmakers and other artists. 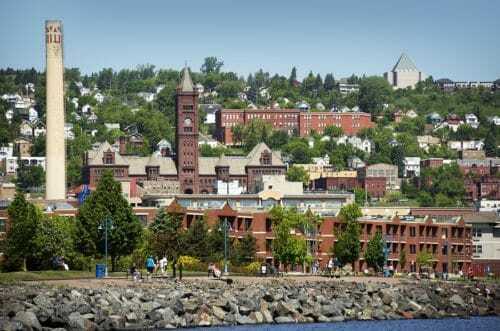 Duluth-Superior Film Festival – (May 30 – June 3) Many venues host this 5 day festival including independent films, music, talks and parties. Grandma’s Marathon – (June 14 – 16) Over 9,000 runners will race the 26.2 miles along the scenic North Shore of Minnesota. Park Point Art Fair – (June 23 – 24) Hundreds of artists gather to display their talent, alongside musicians and local food vendors. Duluth Air Show – (July 7 – 8) Bring your chairs and earplugs for this roaring, world class airshow including the United States Air Force Thunderbirds. All Pints North Summer Brew Fest – (July 28) Join the brewers at Bayfront Festival Park for a day of craft beer, great food, and live music. Bayfront Blues Festival – (August 10 – August 12) Duluth hosts one of the largest outdoor music events in the upper Midwest. The festival includes 30 different acts on two full-size concert stages, featuring top names in the blues and blues/rock world. After all these great summer activities and events you will need a place to relax and just enjoy the view. There’s no place more serene than the Solglimt Bed and Breakfast. Our rooftop deck will become your new favorite place to sip a glass of wine and watch the sunset. Plan your summer escape with us today.